Financial Advisor Websites: Do You Need to Add a White Paper? - Financial Advisor Content | Wavelength Financial Content Inc.
White papers are amazing tools for certain purposes, no doubt. However, they tend to be technical and research-oriented in nature. That makes them best suited for business-to-business purposes. If you are a financial adviser to individuals, your website visitors are probably not interested in a technical research paper. In fact, the best visitors are the ones that are looking for a firm like yours to handle the technical side for them. Instead, most people are much more interested in learning what your firm can do for them. Because of this, I don’t recommend you use a white paper format at all. So if a white paper isn’t a fit, what should you use? My recommendation is to create an eBook, which can also be referred to as a free guide. Instead of being a thorough and analytical look at a topic, it should simply be a consumer-oriented short book advising them on one area you have specific expertise in. And even though we call it a book, it’s not really. It’s more like a short guide… maybe 5- to 15-pages that are professionally formatted and include a lot of graphics. This way, it’s a short read, but it gives your website visitor a sense of what it’s like to work with your firm and what value you can offer them. Here are some Do’s and Don’ts on how to create a successful eBook for your website. DO select a topic that supports one of your firm’s primary strengths. As a financial adviser, your primary objective should be differentiation. Not only will that make you stand out among other options, but it will enable you to attract clients that you are most able to help. As you can see, these are simple topics that address something important: a “pain point”. Those pain points make people seek out financial help and can motivate them to switch advisors, so we need to incorporate those themes. DO keep it on the shorter side. As consumers, we are somewhat spoiled in today’s digital world. We no longer have to visit the library or start calling around to do research on a topic. Instead, we can plant ourselves in a chair and find answers within minutes. So something short and sweet but with valuable tips and lessons allows you to get your points across without losing the reader along the way. DON’T make it a do-it-yourself guide. Unless you’ve got a business model that provides tools to consumers, you’re likely selling full-service help. So do you want to attract do-it-yourselfers and try to change their mind? Probably not. Instead, you want to track those who are looking for a professional like you to save them time and hassle. So keep your eBook big-picture and informative, and minimize the technical side. And be sure to stop short of a step-by-step implementation guide, which may simply serve to further convince them that they don’t need you. Instead, raise awareness of the complexities of what you do, which helps the reader naturally draw the conclusion that it might involve too much risk. DO hit on your ideal client’s pain points. As mentioned earlier, this is vital so it bears repeating. The specific approach can vary, of course. If you’re an adviser to high-net worth clients, for example, you might want to focus on the pain points of fear of big losses (as most people experienced in the 2008 global financial crisis). EBooks about becoming recession proof or protecting the assets they worked so hard to build can appeal to that demographic. This is where your eBook will differ dramatically from a white paper, since your goal is to make it emotionally engaging. After all, an eBook about asset protection for high net worth investors should of course address the critical need to do it now, rather than later. These emotional themes are really part of the conversation, so they work well as part of a properly constructed guide. DO keep it educational. Today’s consumers do not want to be sold. They want to be educated. This dovetails nicely with the financial advisor business model, since you often need to educate people who often have little idea what it is you can do for them. At the same time, educated clients are a benefit for you, as they are more realistic in expectations and understand the role they play in their own success. DO play up your experience and expertise. For a financial advisor, an eBook is a great publication that can build credibility. So play up your expertise indirectly. People want to hear your advice (general of course), especially if it’s based on your years of experience. But be sure to say it in plain language so it’s easy to understand. Even high-net worth people appreciate advisors who can put finance in easy, interesting language. DO include a call to action at the end. After providing this valuable content, it’s fine to include a blurb about your firm at the end. Along with that, provide a call to action so it prompts the ready to take the next step. Here’s where you can offer a free portfolio review or planning session, with no strings attached. If you’ve got someone who loves to write on staff, then creating this content in- house could work. A word of warning though: usually financial people write in language that is most attractive to other financial people. (And often drives all of the non-financial people crazy). Remember that unless you’re targeting a very technical niche, your prospective clients would rather read content written for a layperson, and not the same old dry finance material. Also, it’s very difficult to step outside of our firm and write through a prospective client’s eyes. If that’s the case, then you usually are better off using a financial ghostwriter or content provider. Style: Ask for samples of previous work so you can see if the firm’s style appears to fit with your firm’s approach. A straightforward way to save you time in the evaluation process. Experience: an outside perspective is good, but along with that, you want someone who’s got significant financial expertise as well, so they can write authoritatively. Also find someone who has the insight needed for your target demographic. While a younger person who loves to write might be perfect if you’re targeting the mass market, they are not likely to have much insight into the world of the high net worth person. So interview the writer and find out their perspective and how that can help them write insightfully to your target market. Compliance Knowledge: needless to say, whatever is written has to pass compliance. Many general writers don’t understand the limitations or intricacies of compliance which can create problems, per Les Abromovitz, an attorney and a senior consultant for NCS Regulatory Compliance . Be sure to ask what type of compliance knowledge the writer that will be working on your document has. Cost: Hourly fees sound straightforward in theory, but budgets can often spiral out of control on anything that involves creative writing. So I recommend requesting a fixed fee quote so you know exactly how much it’s going to cost. It’s just simpler and minimizes any uncertainty on anyone’s part. What if you’ve already got old white papers? 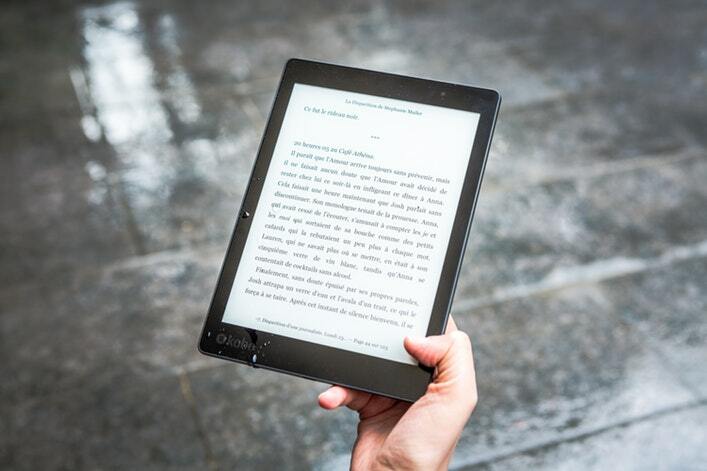 There’s good news: frequently, these technical documents can be converted into more consumer-friendly eBooks. You just need to back out some of the technical and inject more approachable language and discussion. That will require some editing and adjusting, but often a topic can be recycled into a great eBook that can serve your firm in the years ahead. Jeanne Klimowski is founder of Wavelength Financial Content Inc., a firm that provides digital marketing content and financial wellness solutions to financial professionals. Contact us for more information about helping your firm generate more leads from the internet.